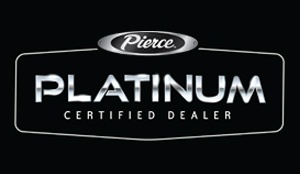 Full maintenance and customized service after the sale for your new Pierce apparatus and any other trucks in your fleet. We can say whatever we want. And so can everyone else. But ultimately it’s performance that matters. It’s what happens after the sale that will cause you to trust in FAE Service and develop loyalty to Pierce apparatus. It takes a lot to become a Pierce Level 1 service facility and Waterous Certified Service Center, and that’s why we partner with the area’s top fire equipment service center, Red Power Diesel Service. Service personnel are factory-trained by Pierce and are experts at fixing and maintaining your apparatus. That’s how it should be. Accept nothing less. We’re going to take care of everything. No worries. From bodywork to electrical, from engine repairs to transmission rebuilds, we’re going to make sure you’re good to go. FAE will also set you up with a complete range of scheduled preventative maintenance services for all systems, including brakes, suspension and hydraulics. Specific to fire apparatus, FAE offers expert service for pumps & pump transmissions, intake and discharge valves, foam systems, tank coating, and plumbing. Red Power Diesel Service offers quick-responding mobile service to perform needed repairs right at your house. Pumps have to be tested. That’s just how it is. But we’ll make it as easy and convenient for you as possible. We can either bring our portable testing equipment to your station or bring your apparatus to our inside pump test facility. Either way, we’re going to make sure it’s done safely and correctly. Red Power Diesel Service carries a large inventory of Pierce parts. Odds are that no matter what you need, we’ll have it in stock and ready to go. But if we don’t, we’ll get it – in a hurry. In our eyes, having an apparatus out of service simply isn’t acceptable. Ever. Things age. They get used and sometimes used up. But with age comes character and wisdom, so don’t throw the baby out with the bathwater. Rebuild it. FAE will rebuild, refurbish, retrofit and add on to your existing apparatus to your desired specifications. Whether it’s skid units, water tanks, ladder lifts, portable tank lifts, generators, emergency lighting, A.C. lighting, foam systems and cascade systems – there simply isn’t much that we can’t either rebuild or retrofit. To see parts for your apparatus, log in as a guest here and browse.